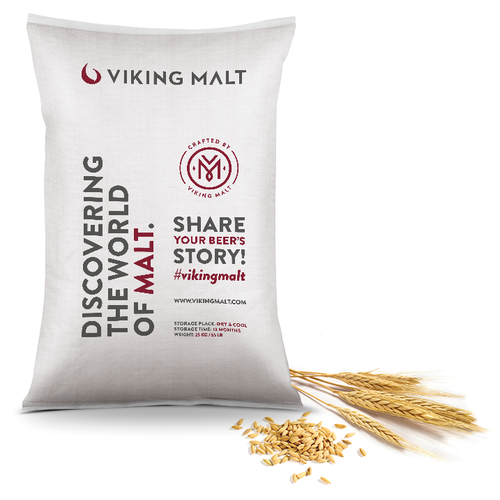 1.7-2.2 °L - Viking Pilsner Malt is made from 2-row spring barley. Steeping and germination conditions are chosen to promote even germination and homogenous modification. The final air-on temperature in kilning is typically 80-85 °C. 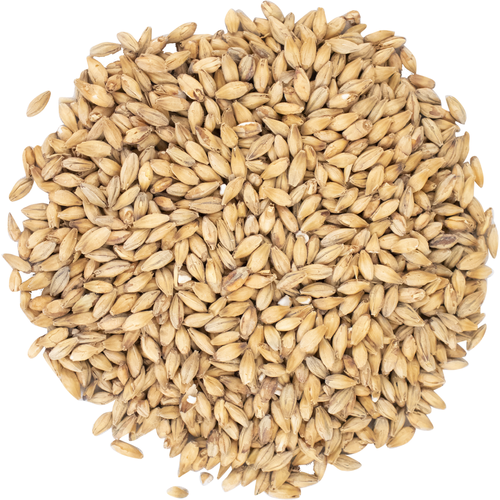 Pilsner malt flavor is usually described as malty, slightly nutty and sweet. 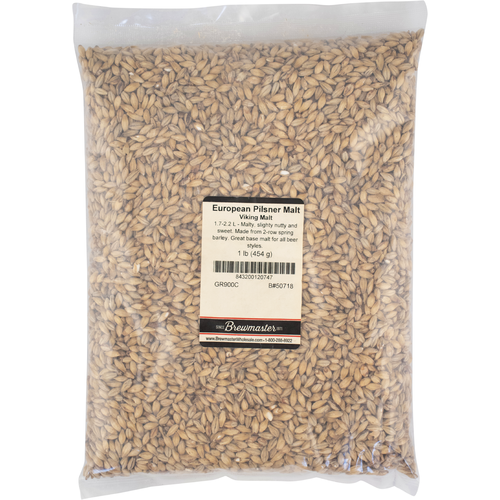 Good malt at a great price. Time to make a Festbier! Add steeped grain to supplement extract recipes. really good deal wanted to try it out. I haven't seen this before and its 1/2 the price of the other Pilsner malts. I am brewing tomorrow, so I can't say how the grain tastes, but milling WAS a problem. The kernels are HUGE! I had to change the gap on my mill to get them to grind. Smelled good and tasted good by itself. I'll update review when I beer is done. Making a Trappist Single. I do not know why but this grain would get clogged up in my mill. I have never experienced this with any other grain before. Hi Richard - coming from this site: (https://discussions.probrewer.com/showthread.php?51641-Grain-mill-having-trouble-feeding-seems-clogged) one of the comments was: "If your mill is feeding an auger that takes milled grain to your mashtun or grist case, you could be running too fast for that auger to keep up. So your milled grain is backing up to the mill rollers which is adding resistance and slowing the rollers and output down. Mill/auger systems are a balancing act and you can only go as fast as the slowest link. An easy way to test it would be to run a single bag or set load through the system with a 20 second window between loads. If there is no problem then decrease the window. Once it balks or slows you know how fast you can go and you will need to slow down the infeed appropriately." If you need more assistance please give us a call at 1-800-600-0033 or email us at info@moreflavor.com so that we can assist you. We are here to help. Cheers! I loved the flavor profile I got from this malt. It rivals that of the Wyerman malts I’ve had as far as taste. I did find that my efficiency was slightly less. But after reading other reviews that had similar experiences I just added slightly more grain and hit my numbers perfect.